I am back with the March layout for my 'Mini' Art Journal 2018. 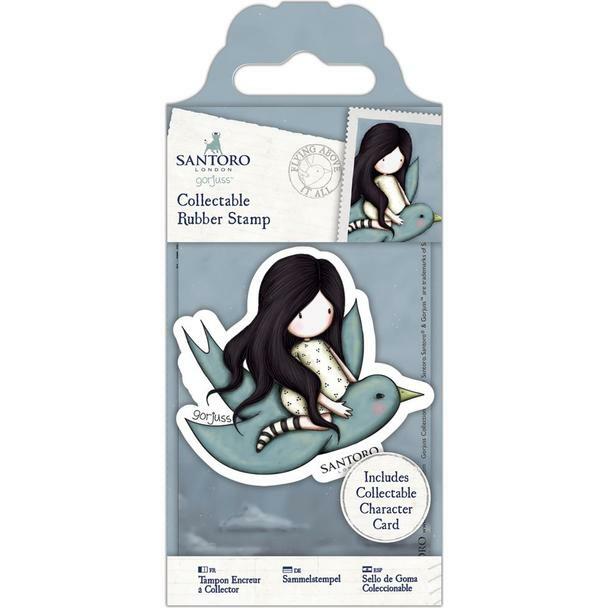 For this layout I decided to use Stamp No.59 'Flying above it all' Gorjuss Mini stamp by Santoro. Because she is an 'arial' image, I decided it was really important to make a predominantly sky layout. 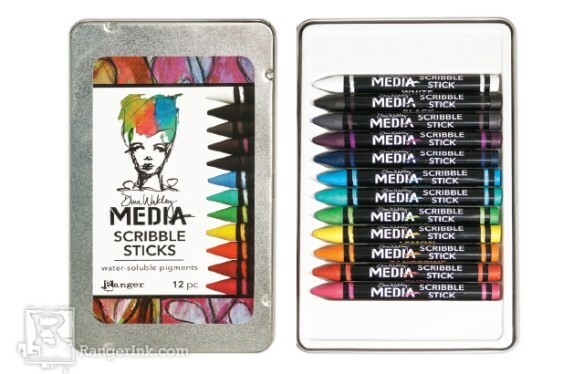 For this, I used my Dina Wakley Scribble Sticks. Watch the process video (link below to see how I achieved the 'motion' with a flat brush). For the bird, I used turquoise, the dress was blackberry , the bird's cheek is magenta and the hair is black. For the skin, I reverted to my Prima watercolor set. I die- cut it out of black card stock and back it up with gold card stock to give the illusion that the lights were on in each house. Next, I added a clear sticker which became the sentiment for this layout. A metal charm and some puffy heart stickers complete this layout nicely. I love how this came together. My favourite character is this cute little bird! I feel like I should give the bird a name! Love the glow of the gold paper through the houses. And here are all 3 layouts so far !! I hope you are making good use of your Gorjuss stamps! They are really a lot of fun. Still thinking on a name for her pet bird.